I’ve written in the past about how ridiculous it would be for a company to be granted a patent on a simple design element. And, really, I don’t think they are: more likely, they’re granted patents on overall designs that happen to include certain simple design elements. A case in point is Samsung, which recently patented new smartphone designs that include round faces. 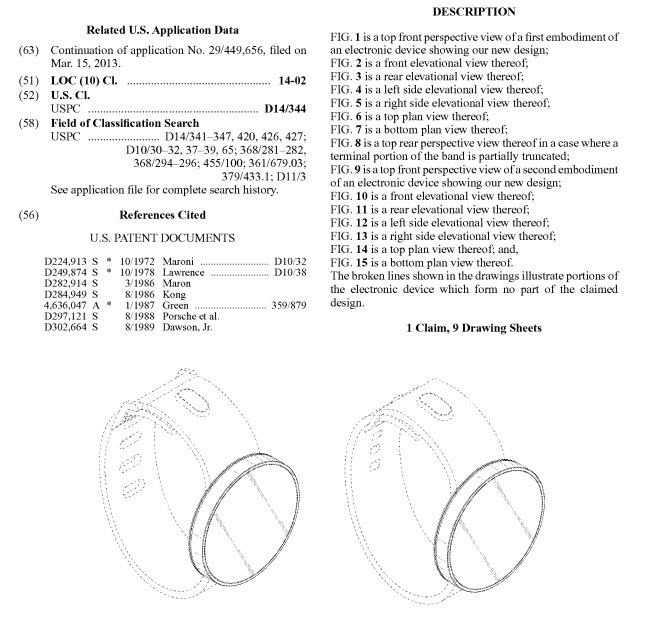 Some folks seem concerned that Samsung has “patented round smartwatch faces” and that this will cause a problem for companies like Motorola with their Moto 360. 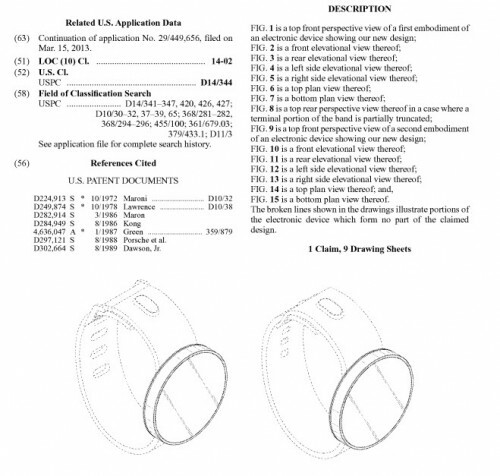 Fortunately, most people seem to avoid that misapprehension, and discuss the patents for what’s really interesting about them: a hint into Samsung’s future smartwatch plans. As far as those are concerned, I’m glad to see Samsung considering different designs than we’ve seen so far. Watches are fashion pieces as much as they are timekeepers–and smartwatches are different than other mobile technologies in that they’re constantly visible and can enhance or detract from the wearer’s style. Some people might not be too concerned about how a watch looks on their wrist, but I’m not one of them, and so far the Moto 360 is the only (eventually) mainstream smartwatch I’ve seen that matches my own aesthetic. I just wish there was something like it for Windows Phone.